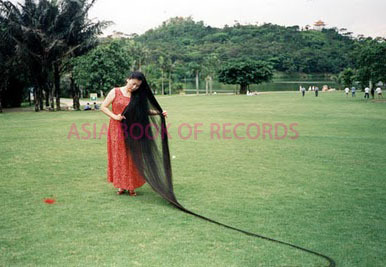 Asian Rapunzel, Xie Qiuping (China) has the longest hair measuring 5.627 meter (18 ft 5.54 in), as on May 8, 2004. She has been growing her hair since 1973, at the age of 13. 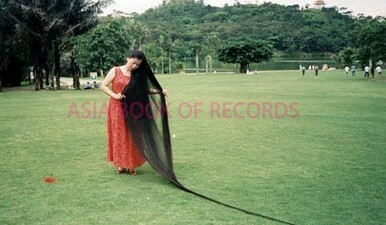 Comments for LONGEST HAIR are now closed.